You rely on your income to fund every aspect of your life. If an illness or injury prevents you from working, the last thing you want to worry about is how to continue paying your bills without an income. When an unexpected illness struck, Dr. Tullos was able to focus on taking care of his family and getting better – rather than worrying about his finances – thanks to his disability insurance coverage. HAVING RESERVATIONS ABOUT PURCHASING A DISABILITY POLICY? We can customize an Individual disability insurance policy to meet your specific financial needs. Coverage might cost less than you think, an average disability policy costs between two and three percent of your income. If offered a job that paid 2% less per year in exchange for peace of mind should you become too sick or injured to work, would you take it? Lucky you! 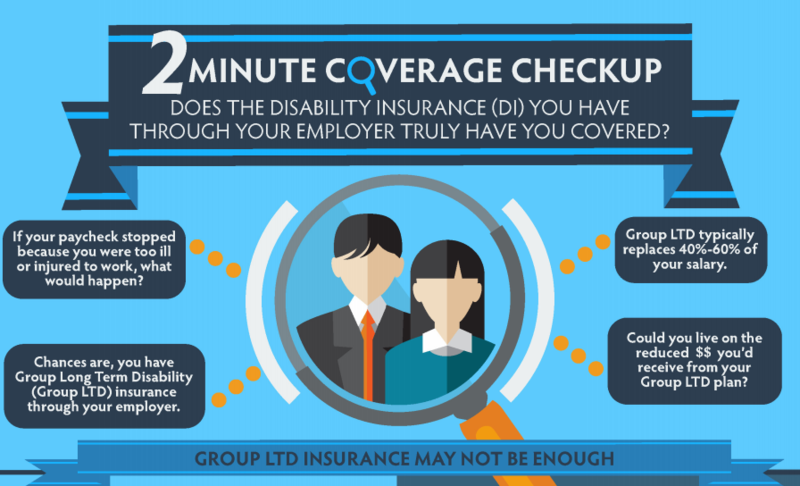 Only about 47% of companies offer group disability insurance. But you can’t keep your coverage if you switch employers. And chances are, your group benefits alone won’t protect a large enough percentage of your salary, bonus and incentive income. This info-graphic explains why you might be less protected than you thought. Unfortunately, the risk of becoming disabled is twice as high as the risk of early death. And most disabilities are caused by health conditions like stroke, heart attack or cancer—not by accidents or injuries. The fact is that just over 1 in 4 of today's 20-year-olds will become disabled before they retire. Unexpected Doesn't Have to Mean Unprepared. Take the right steps today to protect yourself from the financial impact of a disability. Replaces income if you're too sick or injured to work. Can supplement long-term disability coverage you may have through work. 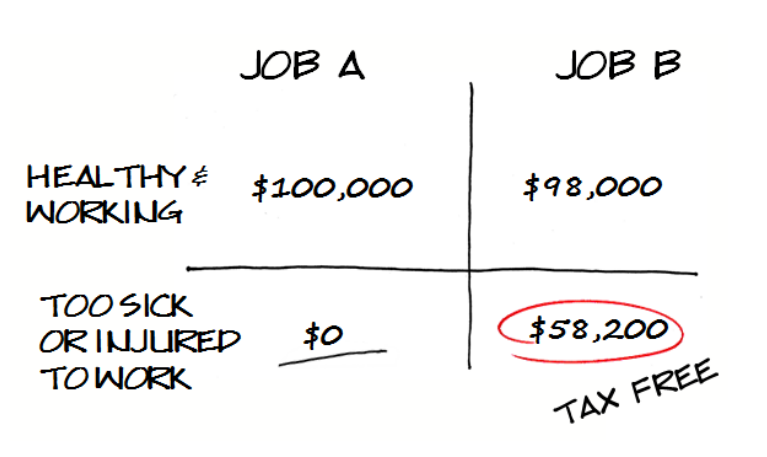 Replaces baseline income (no bonus or incentive income) if you're too ill or injured to work. Securities products and advisory services offered through Park Avenue Securities LLC (PAS), member FINRA,SIPC. OSJ: 1716 Hidden Creek Court, Ste. 250, Town & Country, MO 63131. Securities products and services offered through PAS, 314-800-1155.